Lower and upper structure of steel tubes. Seat, back rest and footrest are anatomical, upholstered with high density foam, covered with leatherette. Armrests are reclinable in injected PU, which move along with chair. One stainless steel brace with height adjustable and distance. 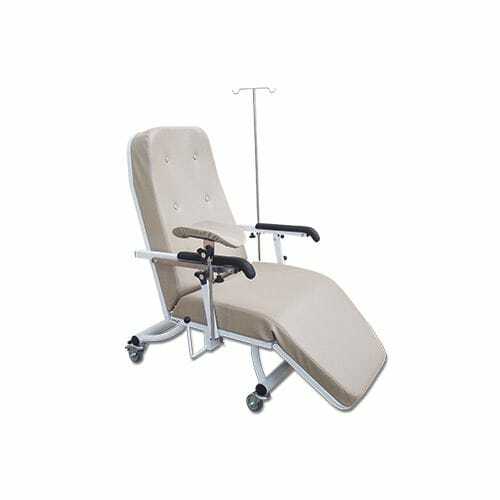 Articulated footrest with independent movement of the back rest. Totally reclinable, allowing several positions, including Trendelemburg movement until 12�. 75 mm diameter casters, two with brakes.